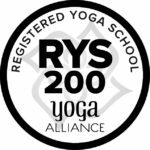 Register for the best quality Yoga Teacher Training! Our intense 225 hour course starts September 9th 2017. It runs for five and a half months, every Saturday and Sunday from 12 to 5 pm. The focus of our program is to form teachers with a solid foundation on functional anatomy, alignment, and teaching methodologies so they are ready to teach skilfully and safely upon graduation. Your tuition fees include unlimited classes at Hatch Yoga (50 classes / week) until the end of the program, starting from the moment we receive your deposit. That means you can start taking classes right away and deepen your own practice before starting your teacher training in September. Price is $3300+hst. (payment plans available).